This is hard - who is this for? You or your pooch? 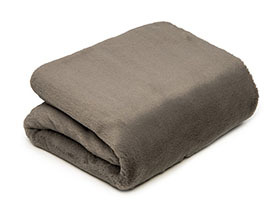 This blanket makes a great home accent or use for to cozy up on a cold night. 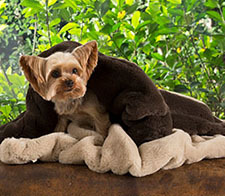 Jax and Bones Mink blankets are constructed using high performance and ultra fuzzy fabric. Comfortable, luxurious and 100% machine washable. Perfect for use in a dog bed, sofa, crate or traveling in a car. Made in the USA. To Clean: Machine wash cold gentle cycle. No bleach. Tumble dry low.